4 What Are the Benefits of Drinking Coconut Oil? Fungi like nail beds. Not only do these parts of your body receive a rich blood supply, but the toenail and surrounding areas may stay warm or hot for days at a time, which combines to make perfect breeding conditions for fungal organisms. Traditional use of coconuts, and the oils they contain, demonstrates promise in the treatment of this condition. 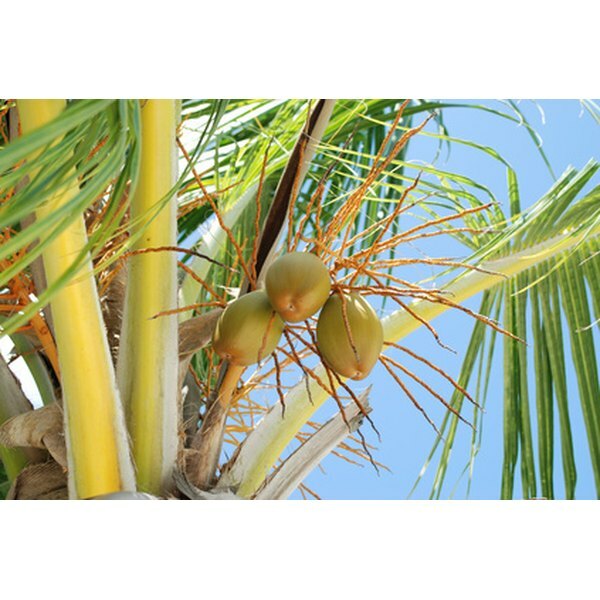 Coconuts grow on palm trees in tropical climates. Although commonly referred to as such, botanists do not classify the plant as a nut. Coconuts represent the best natural source of medium-chain fatty acids, a specific type of fat distinguished by its length and biological action in the body. Dr. Bruce Fife, author of “The Coconut Oil Miracle,” explains that coconut oil provides a major part of the diet for tropical islanders, who revere it's health-supporting and immune-enhancing properties. Yeast and fungus exists in all mucous membranes of your body; the intestines stands out as a primary location. These organisms rarely cause problems unless they become overgrown; this can result from antibiotic use, excessive sugar intake, stress or general weakness of the immune system. A fungal nail represents just one potential manifestation of fungal overgrowth and may accompany a systemic fungal infection, according to the Henry Spink Foundation, which lists 47 common signs of a systemic infection, including sugar cravings, fatigue and itching. 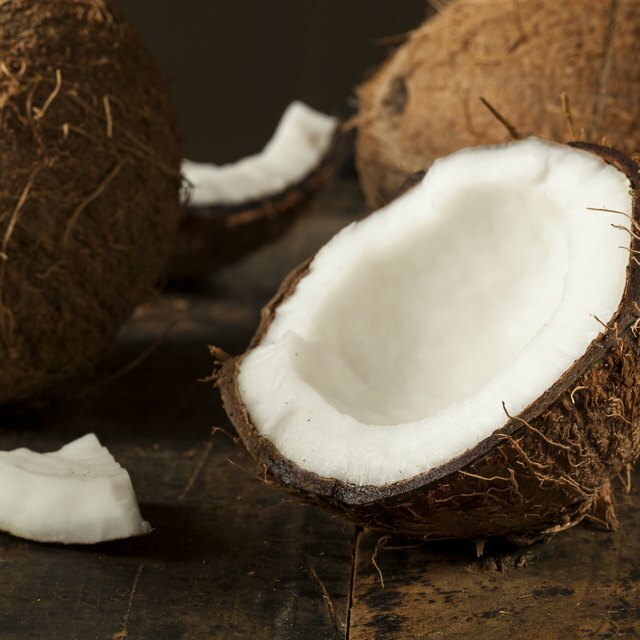 Dr. Fife credits the medium-chain fatty acids in coconut with the fungus-killing action. These special fats exhibit potent anti-viral, anti-bacterial and anti-fungal effects, with caprylic acid appearing responsible for the anti-fungal properties. Caprylic acid diffuses into the cell membrane of fungal organisms before dissolving them; this results in the spilling of the cellular contents and death of the fungus in question. Dr. Fife recommends rubbing the oil into the nail both morning and evening; these recommendations parallel those for fungus-related skin or scalp issues. The oil melts upon contact with the skin. He also suggests oral consumption of coconut oil to improve systemic infections; doing so reduces the chances of instant recurrence, which could occur if fungi in the bloodstream continually take the place of their killed-off cousins. The Spink Foundation also recommends the use of coconut oil as an anti-fungal supplement, together with a range of supportive nutrients to boost the immune system. Topical application should result in a visible improvement, such as a reduction in the thickness of the nail or a less "crumbly" appearance. This should begin to occur in a matter of days, although fungal organisms like candida and trichosporan are notoriously hard to eliminate from the body. Even if fungi are successfully killed and your nail returns to its former state, they may repopulate elsewhere in the body if you do not take systemic measures to ensure their demise. These measures include the oral consumption of coconut but may also include taking other antifungals like garlic, grapefruit seed extract and pau d'arco, together with a low-carbohydrate diet that starves the fungus.